Can Main Edition enhance her Guineas claims? This Qipco 1,000 Guineas trial headlines day one of the Craven meeting, with the proximity of Easter having this year led to a change in the race programme at Newmarket. The Nell Gwyn is usually the feature on the second afternoon of the three-day meeting, but to allow the ITV Racing crew to decamp to Lingfield in good time for the all-weather championships on Good Friday, the broadcaster is showing the first two days of the Craven meeting this year, rather than the last two. Normal service is due to resume in 2020, with the Craven returning to the Thursday; it is being run on the Wednesday this year. In the Nell Gwyn, which last year was the springboard for shock 1,000 Guineas winner Billesdon Brook who was fourth in this trial, front-runner Main Edition will be out to serve it up to her rivals just as she did as a youngster when registering two wins at this Group 3 level before signing off with a good third in the Group 2 Rockfel Stakes. The form of that course-and-distance effort behind Just Wonderful was given a timely boost when runner-up Dandhu won the Fred Darling Stakes at Newbury last Saturday. The Mark Johnston-trained Main Edition was a model of consistency last summer bar one effort in the Duchess of Cambridge Stakes in which she got upset at the start. Connections have since worked hard to tackle her stalls issues and Johnston's son and assistant Charlie has been involved in some practice at home. Off a mark of 107, the daughter of Zoffany is the top-rated in the 11-strong field by 2lb over Angel's Hideaway and looks sure to be in the mix. Main Edition is generally a 33-1 chance for the 1,000 Guineas next month, and Johnston jnr said: "She sets the standard on her wins in the Albany and Sweet Solera Stakes last year. She's been working nicely at home and the plan is to take her to the 1,000 Guineas. "She's had some stalls practice as recently as last Friday, when she was very relaxed, so we're hopeful of a good run." Will Havlin be in heaven on Hideaway? Frankie Dettori holds the jockeys' record in the Nell Gwyn with seven victories but does not ride in it this year having stepped aside to allow Robert Havlin to renew his fruitful association with Angel's Hideaway, John Gosden's representative. 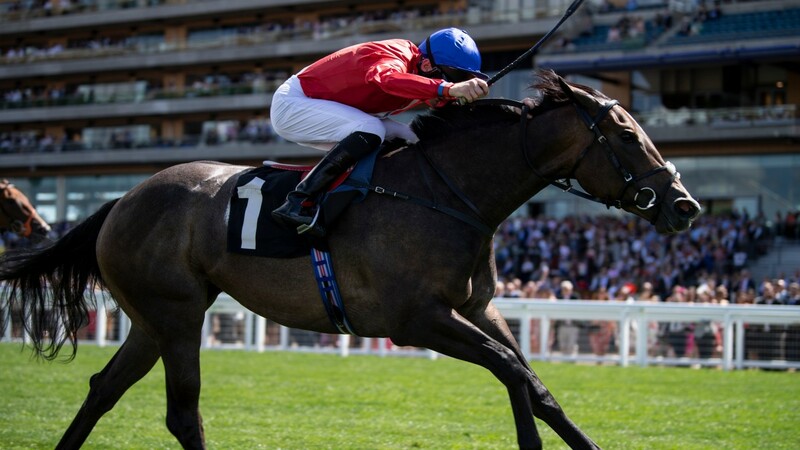 Gosden is not far behind Dettori himself having won the Classic warm-up five times, including in the red, white and blue of Angel's Hideaway's owners Cheveley Park Stud, with Infallible in 2008. If the daughter of Dark Angel can get her head in front it would be a high-profile return for Havlin, who is not long back from a nasty fall suffered at Kempton in February. 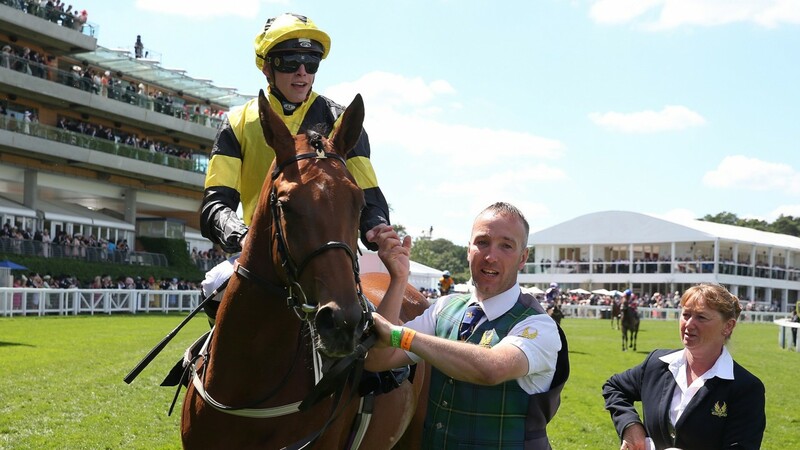 He is the only jockey to have won on Angel's Hideaway, the duo registering two wins together, including the Group 3 Princess Margaret Stakes at Ascot last July. After two fair efforts at a higher level after that, Angel's Hideaway was stepped up to this trip of 7f for the first time in the Group 3 Oh So Sharp Stakes for her final start, when she went down by half a length to the reopposing Mot Juste, with other Nell Gwyn rivals Sunday Star and Mistress Of Love in arrears. Gosden said: "Rab rides Angel's Hideaway at home so he's keeping the ride. "She's done well through the winter and we've had this race in mind for some time. She should like the ground and the trip; we'd have to see about her getting a mile." Can Varian go one better? 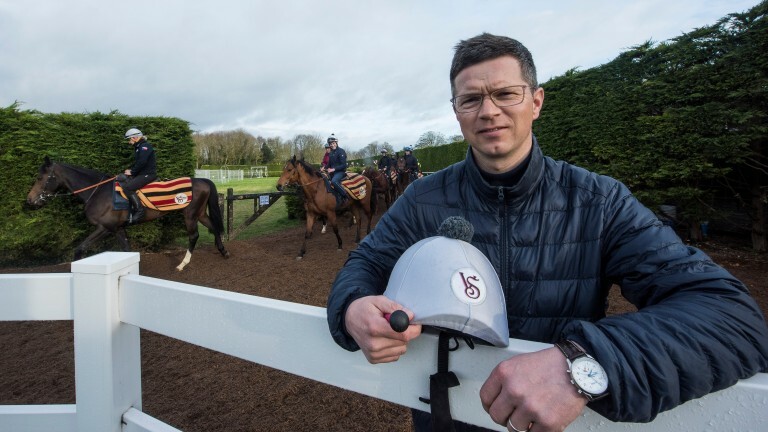 Roger Varian just missed out in this a year ago when Altyn Orda finished second to Soliloquy, and the trainer is double-handed in a bid to go one better with Mot Juste and Qabala. Mot Juste would appreciate a decent pace, as she did when springing a 12-1 surprise over course and distance in October when accounting for Angel's Hideaway in the Oh So Sharp Stakes. The daughter of Distorted Humor is backed up by stablemate Qabala, who showed she liked this track, trip and ground when landing a 7f maiden on her sole start last September. Varian said: "Mot Juste has wintered well and looks a stronger filly than she did last year. I've been pleased with her work, although I'm sure the run will bring her forward. "Qabala is an inexperienced filly but does have course and distance form, and she's training well. I think she has a bright future, and a run here will give us some direction for the season ahead." She's been in great form all winter and seems ready to run. The step up to seven furlongs is the big question mark, but if she settles she should be able to be involved in the finish. She got some black type last year and this will tell us where we are trip-wise. She's in the English and Irish 1,000 Guineas. We don't have a Soliloquy in it this year, but hopefully both fillies could place. Nashirah came up a bit short in Dubai but is well in herself. Orchid Star has won twice on the all-weather here this winter but is back in trip. It's basically a re-run of the Oh So Sharp, in which she finished third to Mot Juste when she may have got there soon enough. She's not missed a beat all winter and we're looking forward to seeing her run.